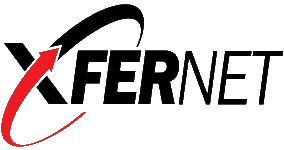 As a leading provider of colocation in Los Angeles, Xfernet is committed to keeping your infrastructure fully operational and constantly available. Our state-of-the-art data centre offers unrivalled security and reliability for all of your mission critical applications and systems. Xfernet’s Colocation Services is the definitive solution for physical security, network performance, and our redundant, diverse infrastructure is built to maximise uptime. Housed in our Tier-3 comparable data centres with an industry leading 100% uptime SLA, SOC 2 Type 2, HIPAA and PCI compliance, superb connectivity, flexible colocation configurations, and a comprehensive set of hybrid solutions – including cloud hosting, managed services, and business continuity – as well as 24/7 hands on support, you can rest assured that your equipment is safe and your data is accessible at all times.